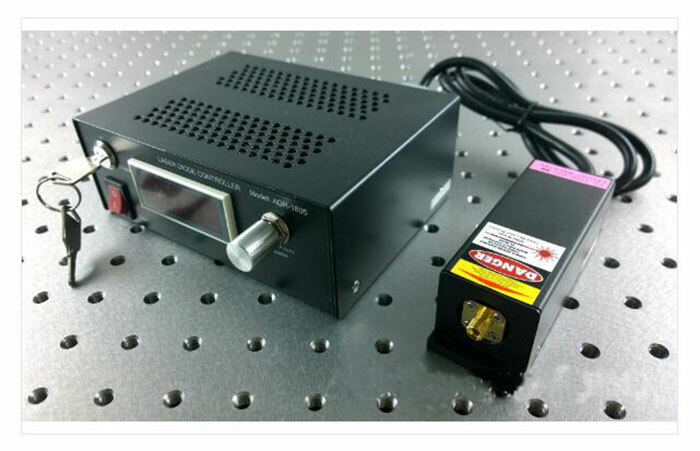 The 405nm semiconductor laser fiber coupling to obtain better beam quality.After the multimode fiber coupling, the beam quality of the laser is improved to a great extent, and the optical path is more flexible and convenient in use.It's very suitable for laboratories, printing, fluorescent testing, instrumentation and other uses. This is a custom product. If you need other output power or have special requirements, please contact us.